Home Czech republic Prime Minister Mateusz Morawiecki: Poland does not share responsibility for the Holocaust. V4 Report. Prime Minister Mateusz Morawiecki: Poland does not share responsibility for the Holocaust. “Polish death camps” and lies about WWII is also Holocaust denial. “That is why we are changing the law… Camps, in which millions of Jews were killed, were not Polish. This truth must be protected because it is part of the truth about the Holocaust,” Morawiecki said. Poland has long fought the use of phrases like “Polish death camps”, which have often appeared in foreign media in relation to Nazi German-run extermination camps located in occupied Polish territory during World War II. Poland’s ruling conservatives have said such phrases distort history and suggest that their country was complicit in the Holocaust. 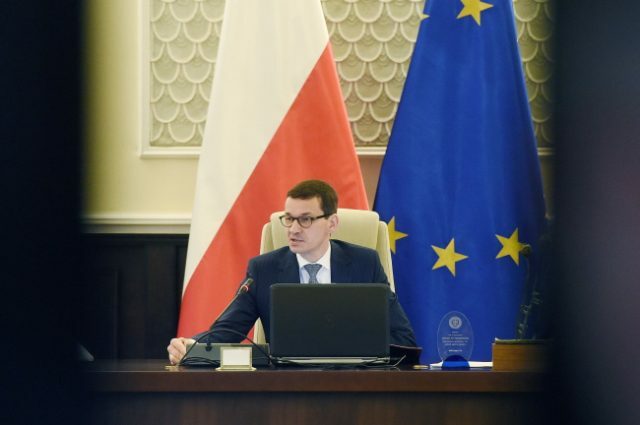 – PM Morawiecki highlighted that the Polish government condemned all World War II crimes, “regardless of the nationality of the perpetrator and the nationality of the victim,” adding that Poles and Jews were both victims of the Nazi German regime. Morawiecki spoke amid tensions between Poland and Israel which emerged after Poland’s lower house passed a bill that would introduce penalties for anyone who publicly ascribes blame to the Polish nation for crimes committed by Nazi Germany. The Polish bill has been criticized by some for limiting freedom of speech but Warsaw has stressed that artistic expression and academic research would be exempt under the new laws. “We will not limit freedoms in the debate about the Holocaust, we owe that to everyone who experienced it,” Morawiecki said.